Patrick Mahaney is an attorney in private practice in Montgomery, Alabama, concentrating his practice in defense of DUI, traffic violations, and driver license issues. Mr. Mahaney served twenty-two years as a state trooper with the Alabama Department of Public Safety (1978-2000), including duty in uniform patrol, criminal investigations, and as assistant legal counsel for the Department. 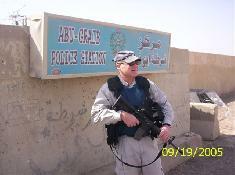 After retirement from state service, Mr. Mahaney served overseas with the U.S. State Department’s civilian police operations in Kosovo, Jordan, and Iraq. Mr. Mahaney received his B.A. from The Citadel, Charleston, S.C. and his law degree from Jones School of Law in Montgomery, Alabama. Current Employment: Attorney in private practice located in Montgomery, Alabama since July 2006, with area of concentration in the defense of driving under the influence (DUI) and alcohol related offenses, drug crimes and violations, driver license law, and general criminal defense. Mr. Mahaney also serves as Police Benevolent Association (PBA) attorney representing Alabama law enforcement officers in all areas of police employment law. Previous legal experience: Contract attorney for the City of Montgomery, serving as Municipal Court prosecutor and staff attorney. Responsible for prosecution of criminal cases in Municipal Court, assistance in preparation of appeals taken from Municipal Court to the state Circuit Court, investigation and case preparation of civil and administrative claims made against the City of Montgomery and city employees. Executive Officer, U.S. Department of State police advisory mission to Iraq (Dec. 2004-May 2006). Staff officer/training coordinator, Jordan International Police Training Center, Amman, Jordan (Nov. 2003-Nov. 2004). International police officer serving with the United Nations Civilian Police Mission in Kosovo (UNMIK) (Feb. 2001-Feb. 2003). Previous law enforcement employment: State police officer, Alabama Department of Public Safety (1978- 2000). Served as uniformed patrol officer, training academy specialist, planning and research staff officer, and assistant legal counsel. Retired at the rank of lieutenant. Held commission as assistant attorney general for state of Alabama. Served as department attorney for the Department of Public Safety in state and federal court (1990-1997). Duties included representation of Department and its officers in state and federal court in all areas of civil litigation and administrative law, with emphasis on defense of civil rights based litigation, personnel law/employment law related issues, and administrative claims. Served as chief of law enforcement planning for the Department of Public Safety (1997-1999). Military service: Over 28 years military service as a commissioned officer in the regular and reserve components of the United States Army. Retired as Lieutenant Colonel, U.S. Army Reserve. Branch qualified as an infantry officer, military police officer, and military intelligence officer; airborne and ranger qualified. Previous assignments with light infantry and Army special operations units. 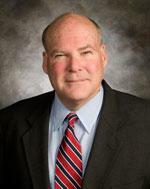 Professional Licenses: Attorney-at-Law, member Alabama state bar (admitted 1989), U.S. District Court (M.D. Ala.), 11th U.S. Circuit Ct. of Appeals, U.S. Supreme Court. Other: Law enforcement trainer and consultant; frequent contributor to law enforcement journals and legal publications. Previously published in the FBI Law Enforcement Bulletin, Alabama Peace Officer’s Journal, Police Marksman, The Guardian, and numerous other periodicals. Author of the treatise Alabama DUI Defense: The Law and the Practice, 4th Edition. Frequent guest lecturer to continuing legal education courses and legal training seminars.